Lynn Garofalo is the Managing Director, Performance Improvement for Kaiser Permanente’s Southern California region. In this role, she leads transformational change initiatives including high reliability, facilitates the regional spread program and hospital clinical improvement team, guides the regional medical center performance improvement peer group, and is a faculty member of Kaiser Permanente’s national improvement institute. Lynn has worked in the health care industry focusing on strategy development and process improvement for twenty-five years. 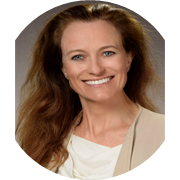 She started her career at Good Samaritan Hospital in Los Angeles before joining University Hospital in Denver and later Deloitte Consulting’s health care strategy and operations improvement group. Lynn holds a Bachelor’s Degree in Financial Management from Tulane University, Master of Health Administration and Doctor of Policy, Planning and Development degrees from USC, and a lean six sigma black belt. In her free time, Lynn enjoys serving as a docent in her children’s school art program and volunteering in the community.